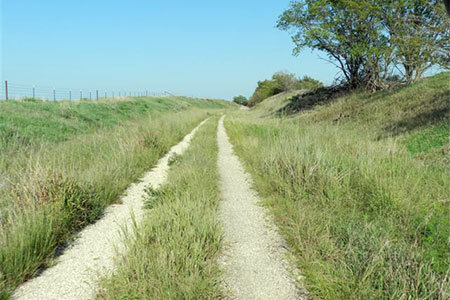 Located six miles North of 56 highway you pass through the small but friendly town of Canton, Ks on County road 27th avenue a paved and well-kept road. 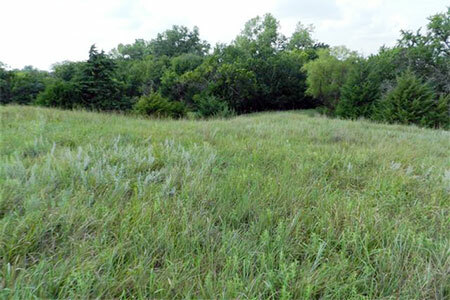 You come to the properties SW corner at the intersection of 27th and Pawnee, Pawnee being an undeveloped road leaving the property with the frontage of blacktop 27th avenue and no roads on the South, East or North adding to the acreages privacy and peacefulness. 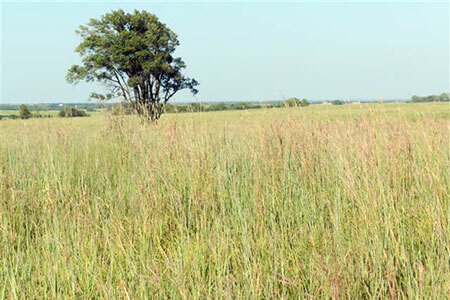 This land has always been in native grass and well cared for as it has been in our family for over one hundred years. It is slightly rolling which make it perfect for the construction of any style home with it slopping in three directions. It is surrounded on three sides by tree lines and timber, which also adds to its privacy. There is only one other cabin with a part time resident on the entire section. 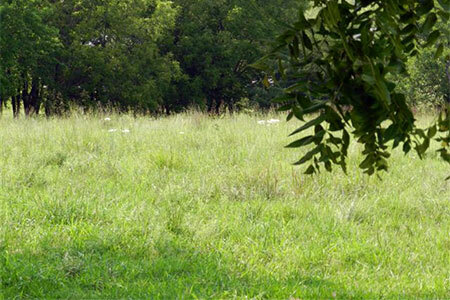 The property has a fair weather natural spring which flows along the North boundary. There is also a very nice location for a pond higher up to the East above the spring feed. There is also a newly drilled water well being developed that could be used for anything from household to a pond water supply. Speaking of water, along the 27th avenue frontage there is a new 6-inch Marion Co Rural Water District water line that can easily be tapped into as the district is seeking new customers. Electric power runs along the frontage and can be brought in along the properties South boundary with the lines very nicely out of site. Sewer can be either a septic tank or a small lagoon either of which can be out of site of a new home. Our land is a natural crossing for deer as they migrate daily from the grasslands to the farmed feeding grounds to the East. 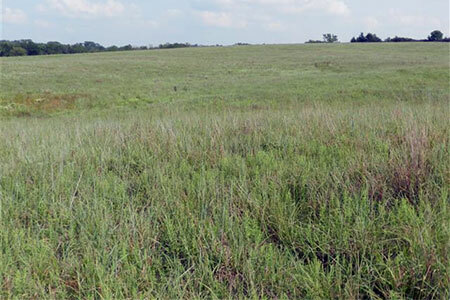 The ground also supports a very healthy population of quail and turkeys. We will retain ownership of the balance of the property (240 acres) and would be open to leasing the hunting rights on that property. If very large Whitetail deer trips your trigger, you are in luck. 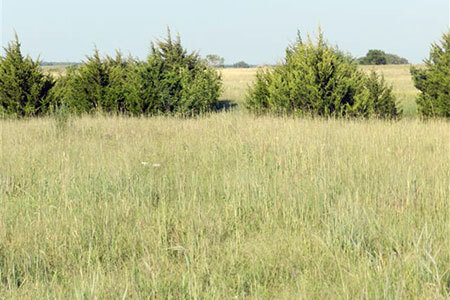 Just two miles to the North is the beautiful Maxwell Game Preserve and McPherson State Lake. From our property you can see the viewing tower at Maxwell that over-looks the entire park. The fishing in the small but clear lake is exceptional. The lake is surrounded by old trees with many picnic and camp-sites available. Seven miles of 27th avenue from Canton, past our property to Maxwell have been designated a tourism road and will always be well maintained. The legal description of the property is Section 27 Township 18 Range 1 the Southwest Forty of said section. The property will contain a minimum of 40 acres. There are no current wind or oil and gas leases in affect with 100% of our interests transferring with the land. There has never been any oil or gas production on this property. We have the property listed and will be working with Ryan Selenke of Berkshire Hathaway PenFed Realty out of Wichita, Ks. His number is 316-807-6266. Please also feel free to contact me anytime….Merle 620-381-1712. I can be available most anytime even on short notice to show you the property. 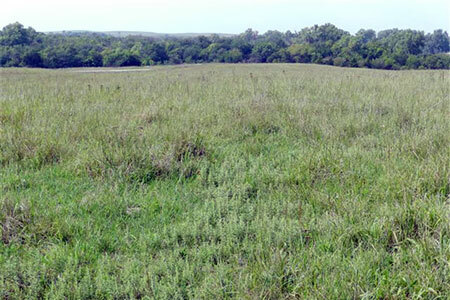 The reason we are selling this forty acres is that our pasture is in a horseshoe shape and the cattle do not graze this Southwest corner very well. We have in the past, been asked many times if we would sell this land off for the building of a new home or even just a weekend get away spot. With the rural water coming in and this area becoming very popular, we have decided it is time to list it. 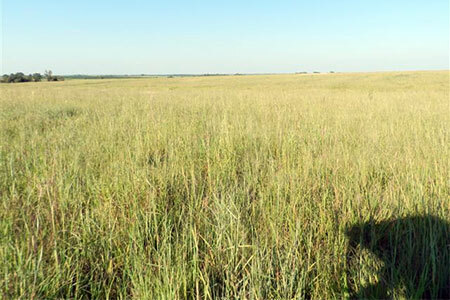 This is truly a one of a kind very beautiful native grassland property. So whether you would build a home, cabin, hunt or just enjoy nature one thing is for sure. The sunrises and sunsets will amaze. Thank you. 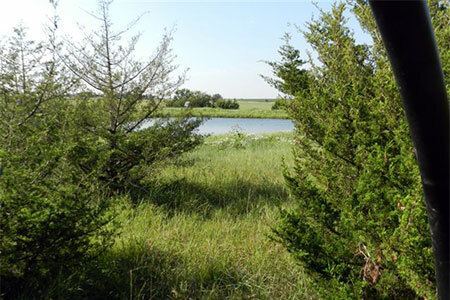 Located three miles West of Hillsboro, Ks to the intersection of 56 Highway and Falcon road then ¼ mile North on the East side of a very well maintained county road you will find a very beautiful property. 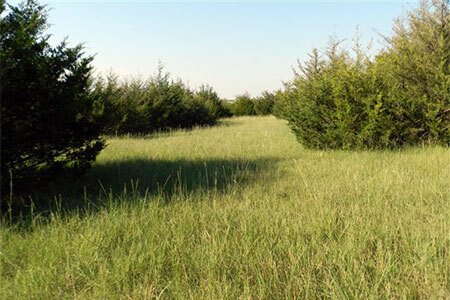 The property is only minutes from Hillsboro and approximately twenty minutes from McPherson. There is a ½ mile rocked entrance on its South side along with full access from the West, which is road frontage. 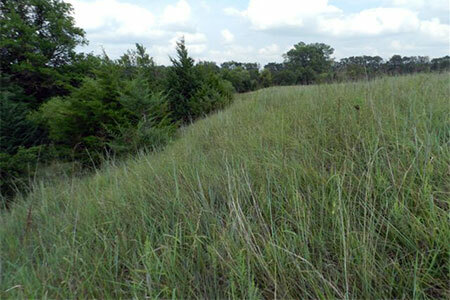 The land is in all native grass with gentle slopes, which would accommodate any style home or cabin. With the long gravel entrance a home could be built as far back as the middle of the section, along the frontage road or anywhere in between. The land is partially wooded on its South boundary, which leads down to a cedar tree grove and pond area. 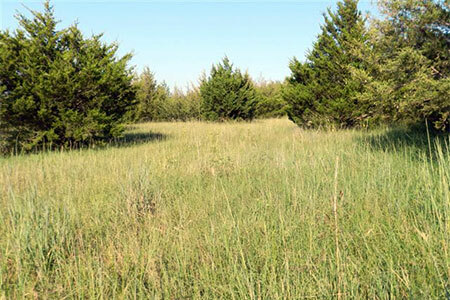 The land then opens up to sparse cedar trees and then completely opens up to the view of well-maintained native grass. In any case there is nothing to distract from the view of sunrises and sunsets. The land supports deer traffic as well as quail, pheasants and doves. Overall the hunting in the area is excellent. The Marion Reservoir is only ten minutes away, which certainly can add to a sportsman’s list of things to do. There are two small but deep ponds on the property that could easily be developed into larger bodies of water. In addition there is a solar powered well very close to the ponds, which could be used to supplement water. Electric power is readily available and could be brought in along the properties North border. Also the Marion County RWD #4 has a large water main along the frontage road and would be very interested in providing the property with excellent quality water. Either a septic tank system or a lagoon could be installed for sewage requirements. This land is in the Unified School District 410, which is known state wide as a superior school system for its academics, sports and activities. Our students continually rank in the top percentile of the nations averages in test scores and achievements. 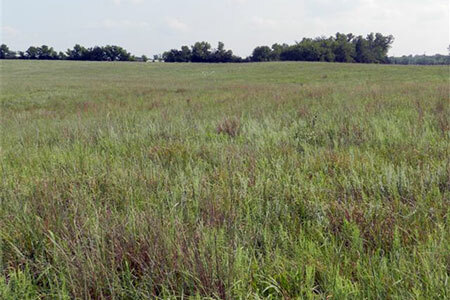 The legal description of the property is Section 30 Township 19 Range 2E Marion County Kansas. Further described as the North one half of the Southwest quarter containing 80 acres more or less. There are no current wind, or oil and gas leases in affect with 100% of our interests transferring with the land. There has never been any oil or gas production on this property. We are asking $280,000.00 for this property. We currently do not have this property listed with any realtor so please feel free to contact Merle at 620-381-1712 anytime. I would truly enjoy showing you this very nice land. 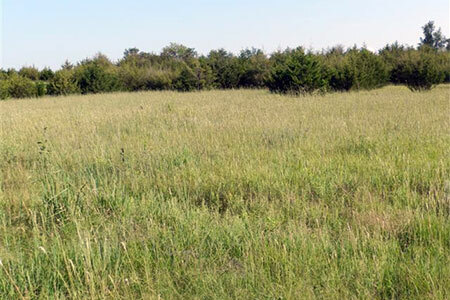 With its easy access yet seclusion, beauty and location this land is worth every cent for someone looking for an incredible home site, cabin site or just weekend hunts and family get a ways. 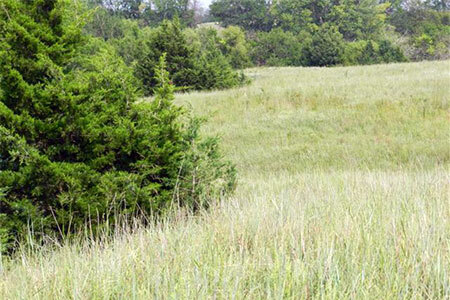 Land like this is hard to find and if you do find it, few will sell. Thank you.